Sorry its been so long since I posted anything, we have been working hard over the summer months for our Acquire clients, and also working very hard on The Art of New Business. Our blog over on TAONB site has tons of tips and advice for how to win more new business, interviews with really successful agencies, and insights from clients about what really works to get on their radar. So, head over to www.theartofnewbusiness.com where we will be updating our content a lot more frequently than on here. Finally, if you are here because you are looking for ideas to re-invigorate your new business strategy, or you aren’t sure where to begin, get in touch and ask about our inspiration workshop. Just a little message for all our readers, followers, friends, clients, competitors, enemies, lovers..
We wanted to give you all something lovely in the post this year.. but we have made so many friends this year that we simply cannot afford to.. So.. we decided to put some of your on our good list, and some of you naughty ones who haven’t been quite as friendly on our bad list.. For everyone that makes it onto our good list by 1 minute to midnight tonight, we will be picking some of you at random to receive something really rather bloody good in the post on Monday. So, comment on this thread, tweet #evilsprouts or like our facebook page to get on our good list today! The perceived wisdom says that the nice guys always finish last and if you watch TV programmes like the apprentice, you’d think that being in business is all about testosterone filled posturing and looking out for number one with no room for kindness, but here at Acquire we think that’s total rubbish. One of the benefits of running your own business is the ability to choose the people you work with- we have made a conscious decision to only work with nice people which makes being in business a far more enjoyable experience. And besides making everybody’s lives more pleasant, being nice also has very real advantages when it comes to winning new business. Things got nicer still when we sat down in their board room to chat and on the screen was projected a photograph of coffee mugs with our company logo printed on them. 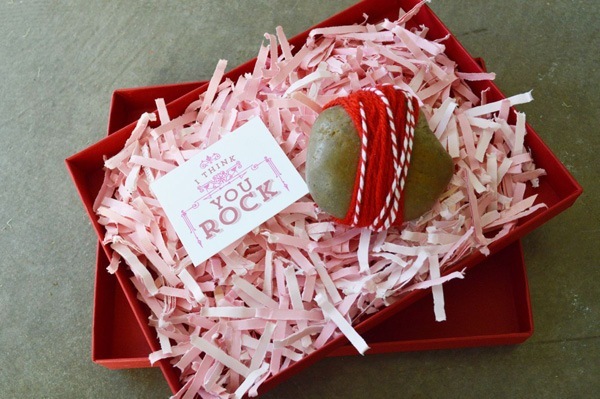 These nice, thoughtful, memorable little touches made us feel very welcome and immediately at ease, and made us think about the agency in a totally different way. 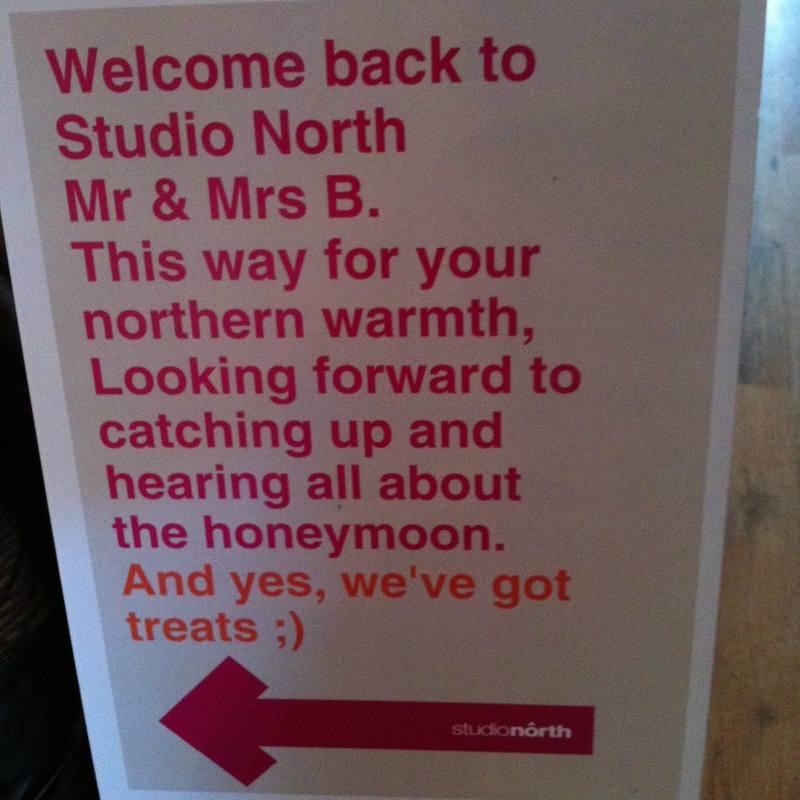 The overall upshot is that if we are asked to recommend a good brand comms agency, we’d recommend Studio North like a shot, as would anyone else who has experienced their particular brand of hospitality. It seems that we have been on a run of meeting with nice people recently. Just a few months ago, we started working with a very interesting company called Feedback, a digital ethnography research agency based in the US and in London (they delve deep into the chatter on social media channels to reveal what an audience thinks of industries, brands and their competitors, who and where the audience are and the best way of communicating with them –going places that social media dashboard tools simply cannot reach. For an enlightening article on the subject, click here). Anyway, we’d only been working with Feedback for a week or two when the head of the London office, Danny – told us that he was lucky enough to have got a pair of tickets to the BT London Live Hyde Park gig on the final day of the Olympics. Sarah and I were both in our late teens – early twenties in the Britpop era, and never having seen them play live, we both really would have liked to have seen Blur before they called it a day. We happened to mentioned this to Danny, and we were amazed when a few days later he got back to us to say that as he’d already seen them before, he was going to share the love and send us to the gig instead – an incredibly kind thing to do, and something that helped to cement a close and effective working relationship between ourselves and Feedback. We were recently asked by a small digital agency that we know if we could recommend a hosting provider, and with no hesitation we sent them in the direction of Melbourne Hosting, because not only do they provide a great level of service, they are also a group of genuinely nice people who care about their customers and contacts. A couple of weeks later we received a case of 6 bottles of great quality wine courtesy of Melbourne as a lovely thank you gesture for referring business to them, and we’d certainly recommend them again! It’s taken for granted that companies are nice to their clients and prospects, but if doesn’t take much effort to extend this attitude to your suppliers and everyone else that you come into contact with. If you are nice to everyone you encounter, you’ll create a positive aura around your company, and before very long you’ll have a legion of advocates who, without you having to ask them, will happily recommend you, and as we all know, referrals are the very best way of winning new business. Recently I was delighted to be invited to sit on the expert panel for the Guardian Small Business Network. They were hosting a live Q&A about “how to win new business” and found me on twitter I believe. To say I was chuffed would be an understatement, but also it just goes to show that when I preach to clients about the power of being an authority and making sure this is reflected in your social media content, I speak from experience! There were a few common themes that emerged during the course of the Q&A so I thought it would be useful to write them down so that any of you with similar challenges can take comfort from the fact that you are not alone! Several participants had questions for the panel around the most effective way to use of social media to win new business. The panellists highlighted the importance of developing a robust social media strategy as a part of the wider networking and marketing efforts, the logic behind a well thought out and engaging content strategy and how to turn Facebook ‘likes’ into strong brand ambassadors. Still on the subject of social media, it was pointed out by the panel that a crucial and sometimes overlooked step when building business through social media is do your research and find out where your audience congregate, which social media they use, which groups and forums they are members of and make sure that you are active in those spaces. However, remember that social media is a two way street, and being active doesn’t mean broadcasting sales messages, it means engaging with interesting a relevant content and building relationships. Another interesting topic that came up for discussion was how strategies that focus on staff happiness and wellbeing can help win new business, with one panellist referencing a company employing a nutritionist to ensure that employees were eating healthily, another that encouraged staff to spend half an hour listening to 80’s music to help them switch off. And, of course, we only need to look at the example of Innocent Smoothies to see how innovative office culture and a fresh approach to employee engagement can increase profits, productivity and customer satisfaction! One point raised during the discussions was the value of being nice to people in order to win new business. Counterintuitive as it may seem, by not chasing the money and instead focusing on helping people you make doing business fun and enjoyable rather than cut throat and aggressive – meaning that you are far more likely to build effective relationships and win business through referrals. To this end, I recently launched ‘The Nice Manifesto’ – which is a network for people that share my views that doing business with each other should be a fun experience and we don’t need to be cut throat, agressive or pushy to win new business. Please join our linkedin group by clicking the link above if you agree with me. One of the participants was becoming thoroughly demoralised due to their failure to win new business, even though their product was eye catching and award winning. Their issue was that they were operating in a crowded market place with a relatively low barrier to entry, and what’s more, they had no real understanding of what made them different from any of their competitors. It’s crucial that you know what your USP is, because if you don’t know, neither will your prospective clients, and you can’t develop an effective sales and marketing strategy without identifying what makes you different. To nail down your USP it can be good to talk to your existing clients about why they use you, or speak to a friend about what you do and get them to ask “What does that mean for me?” It will help you to articulate your point of difference in terms of what it means for your customers and often your USP will suddenly become clear. An interesting question was submitted regarding a lack of confidence and sense of intimidation when it came to networking, and the best way to overcome it. The panel pointed out that networking is all about relationship building rather than selling – and once that mindset is taken on board, networking becomes a whole lot easier. It’s all about finding like-minded people with whom you have rapport, and as the name of the exercise suggests, building a network of people who you trust and who trust you. When the time is right you can ask for their help and they’ll happily refer you. Some of the questions posed regarded the difficulties that small business owners face in wearing so many hats – MD, finance director, business developers – and how best to juggle all these responsibilities. It’s all too easy to be distracted by the day to day, and whilst it’s important to keep existing customers happy, effective new business activity needs focus and a consistent amount of time dedicating to it. The key is to set realistic goals and be tenacious – and if you really don’t have the time, admit to yourself that you need help and get it before your new business drive loses its hard won momentum! Good luck with your new business efforts, and if you have any questions, email sarah@acquirenewbusiness.co.uk. I will be running a regular feature on this blog where I pick the most interesting or common question I encounter and answer in in an article on this blog.